Everyone needs a pinball assistant – just ask Dr Dude. But while a huge-breasted nurse may not be acceptable these days, what you may be able to wrap your hands around next year is The Pinball Assistant. It’s a pinball mobile app which aims to have info, photos, fun facts and playing tips about every single pinball machine ever made. A kind of IPDB on Dexedrine, if you will, that you can carry around in your pocket. You’ll also be able to write your own personal reviews on it, rate each pinball machine you play, and register your high scores. The good news is that it’s going to be free – but only if the founders of the project, clog jockeys Gerard Vos and Richard van Zijll de Jong, can raise $17,000 on Kickstarter. $17,000? That’s a lot of dough. And all for an app that’s going to be given away. There’s an obvious question here: what is all this money needed for? New Sterns for Vos and van Zijll de Jong? Really not. These two Netherlanders* are genuine pinball people, and the project is a labour of love for them. Each has been working between twenty and thirty hours every week on it, building up a database of information about every machine ever made. In total they have put in thousands of hours of their own time, and they’re still working. A starting point for the database was information from a little-known book called “A Magical Machine”, written by Henk de Jager and distributed to just a handful of people. De Jager has given his permission so that the treasure trove of information it contains can be made much more freely available through the app. 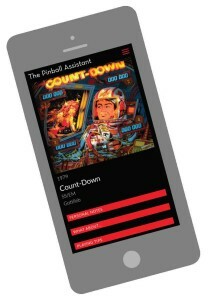 The Pinball Assistant will run on iOS and Android phones. 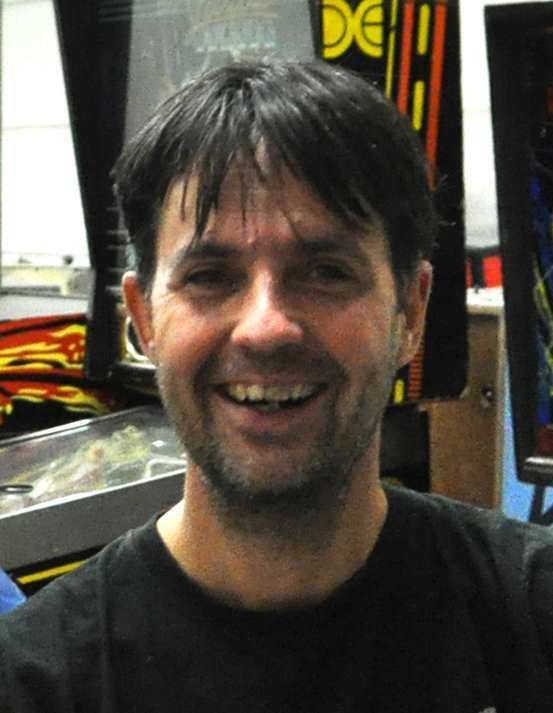 Vos reckons that about 2,000 different machines – including prototypes and custom ones – have been made since pinball began. “We are trying to get hold of photos of all of them: we take our own, and we are getting people to send them in,” he says. So back to the original question: what will the $17,000 be used for? The answer is actually quite simple, according to Vos. Neither he nor van Zijll de Jong are coders, so they need to pay someone to sit down and develop the app for both iOS and Android devices. There are also costs associated with getting it into app stores and publicizing it. Since the app will have a huge amount of content the data itself will be held online. That means you’ll need a data connection to use the app, and some of the Kickstarter money will be used to pay for the online server. Online ads relevant to pinball players may also be used to cover the server’s running costs. The project got started thanks to van Zijll de Jong’s chance comment that he would like to play every pinball title ever made. “We started to write down the games we had played and gave them a review score like 8 out of 10, then we thought ‘why is there no app for this?’,” he says. A few months later, Vos was in France and stumbled upon de Jager’s book. “It was then that we thought that maybe we should make the app ourselves,” he explains. If it delivers what’s promised the app sounds great. 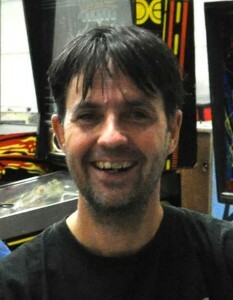 But for it to be made available free to anyone in the pinball community, Vos and Zijll de Jong do need the spondulees. And $17,000 is a pretty tall order. Still, if you’d like to see The Pinball Assistant hit the app stores then head over to Kickstarter and make a pledge. There are various goodies on offer in return ranging from digital photos of pinball machines to a translite from the original “Whoa Nellie! Big Juicy Melons” signed by game designer Dennis Nordman and artist Greg Freres. Note for non-European readers: Netherlanders come from the Netherlands, a small European country of good footballers, beautiful women and very bad food. In 1667 they had the timerity to invade England, the cheeky sods. Thinking about it they were probably after our delicious fish and chips.